Are you ready to get in the Christmas spirit this week? Emma and the My Creative Time design team are sharing some fun projects to give you some ideas for your holiday crafting! 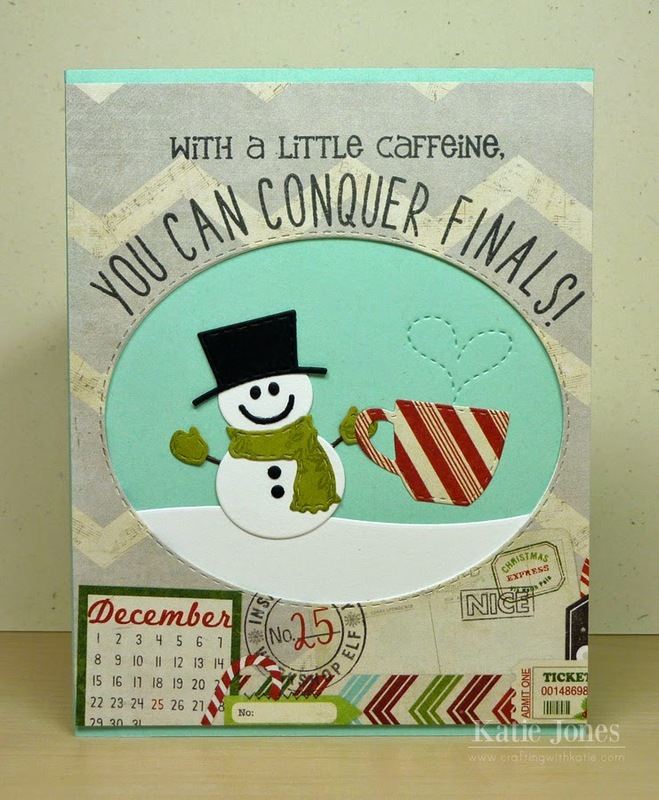 My project today is perfect for that college or even high school student in your life who is counting down to Christmas, but also trying to get through finals beforehand! To make this fun card, I started with an A2 card base in aqua mist cardstock. I trimmed a cute piece of patterned paper from Simple Stories December Documented collection to 4 1/4" x 5 1/4" and cut an oval out of it with one of the dies from My Creative Time's Scallop Stitched Oval Dies. To make this layer a little thicker, I cut a piece of white cardstock the same way, and adhered it behind the patterned paper. To get my "snow," I used one of the Fun Sitched Edges Dies. Then I made my adorable snowman using the Winter Snowman Dies. The sweet jumbo coffee mug was made with a die from All You Need is Coffee, and I used another die from that set to get the little heart "steam" coming out of the cup. To make my sentiment, I masked off part of a stamp in the My Favorite Sayings stamp set to get "With a little caffeine," and then I used individual letters in Alpha Pack to make the rest. 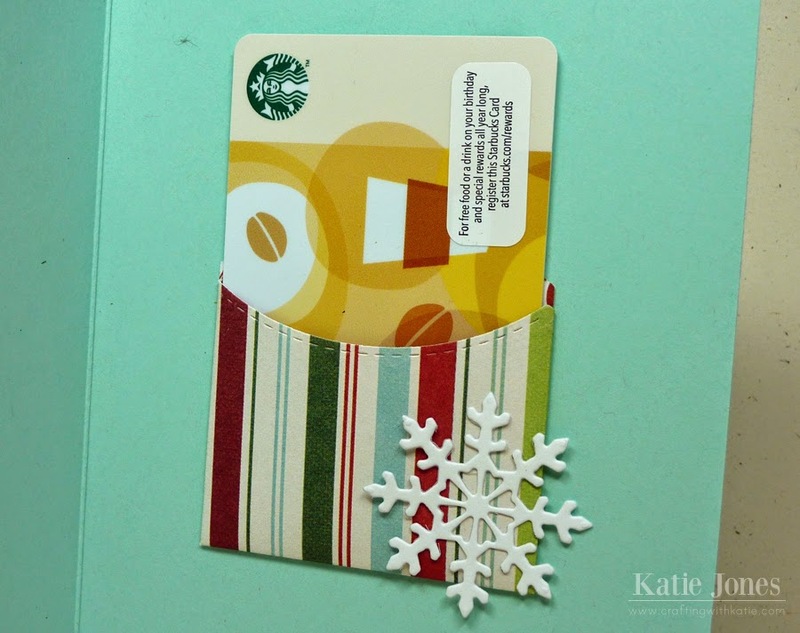 On the inside of the card, I made a little pocket for a Starbucks gift card with the Tag Gift Pocket Die and adorned it with a snowflake made with one of the Winter Flake Dies. Hopefully my nephew will make it through finals with this extra little boost of caffeine! Super adorable card and gift certificate holder! Your nephew will love it! HI great idea. keep up the good work. OMG Miss Katie OMG What a super cute card/gift holder I just love you genius creative idea for the sentiment and how you used all of Miss Emma's goodies!! Girl you really do always come up with the neatest and coolest ideas ever....YOU totally ROCK!! Super cute gift holder! Great idea with the cardstock under your pattern paper. Adorable Snowman holding the cup! Great job! Cute fun card, great job. That is a great card! Love this idea for a student. Beautiful card and good idea. 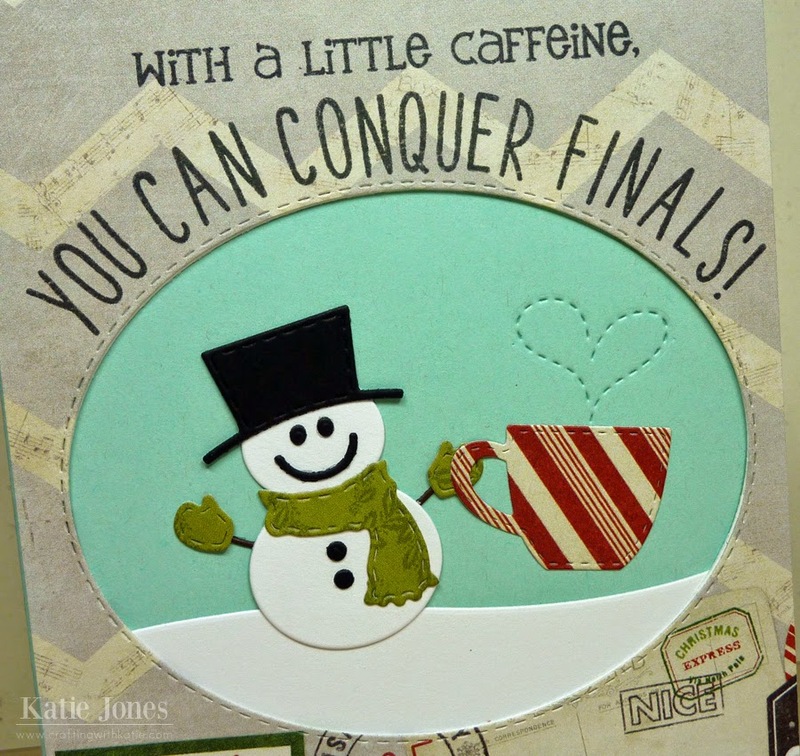 What an encouraging card and love the peppermint striped cup. I really like how you made the FUN saying with the alphas, Katie. I might have to have that set. Love this!!! 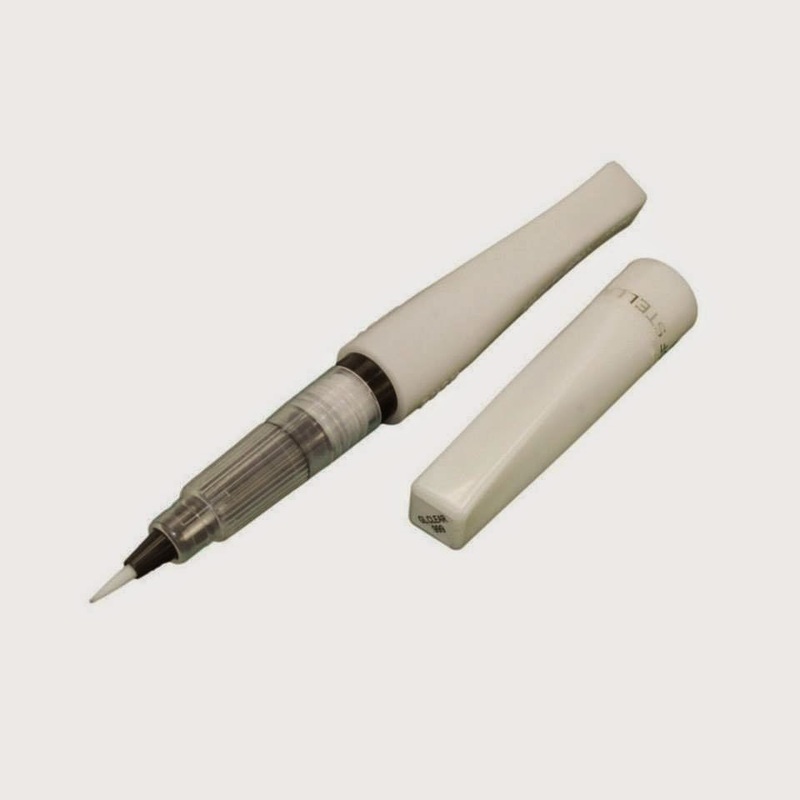 So cute and the absolute perfect gift for all those college kids out there!! Hugs!! Hee hee! I knew there was going to be a Starbucks gift card inside this adorable card! Great incentive to get through finals. This is great. I love how the cup looks enormous in the snowmans hands. Very Cute. Clever idea. The sentiment is great. Hope he takes advantage of it. OMGosh this is perfect. I bet your nephew will LOVE it. Thanks for sharing. Not only is this super ADORABLE but OMG how creative!!! I LOVE this Katie!!!! ADORABLE!!!! Seriously, you always come up with the sweetest projects. Love this - might almost be worth going back and taking a class --- NOT! LOL! A clever way to do a window for your card. Love the snowman and big cup. Great job using the alphas and getting them so straight. Fabulous job! Great idea, those college students LOVE coffee! CUTE card! What a wonderful card for the student in our lives. Very nice. Just adorable. I am loving all the really cute ideas today!! This is so fun. I keep looking at the pocket die. I'm going to have to get that one day. If that isn't encouragement, I don't know what is! Your nephew will adore this, as do I! Oh my gosh, this is so cute! 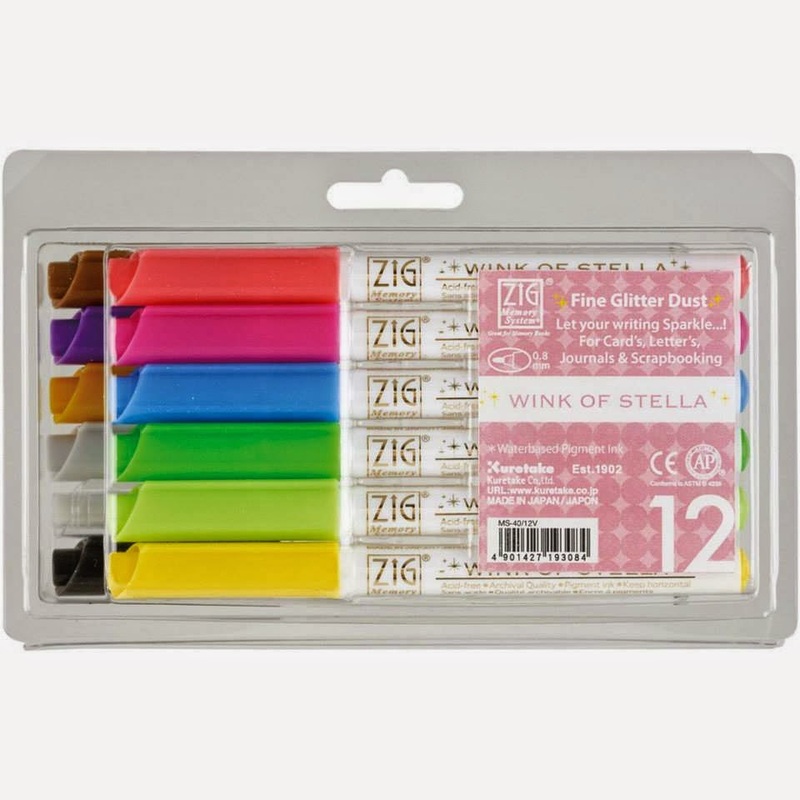 The colors are fabulous and what a fun idea for a college student! LOVE-tfs! That little stitched heart just stole my heart! Adorable!!! So cute! Love that peppermint mug!!! Great gift idea! Love this card!! Love the sentiment!!! Love this card of encouragement! What a wonderful idea. TFS! LOOOOOVE this Katie!! What a great idea!! :) And the giant cup of coffee in the snowman's hand is so FUN! !